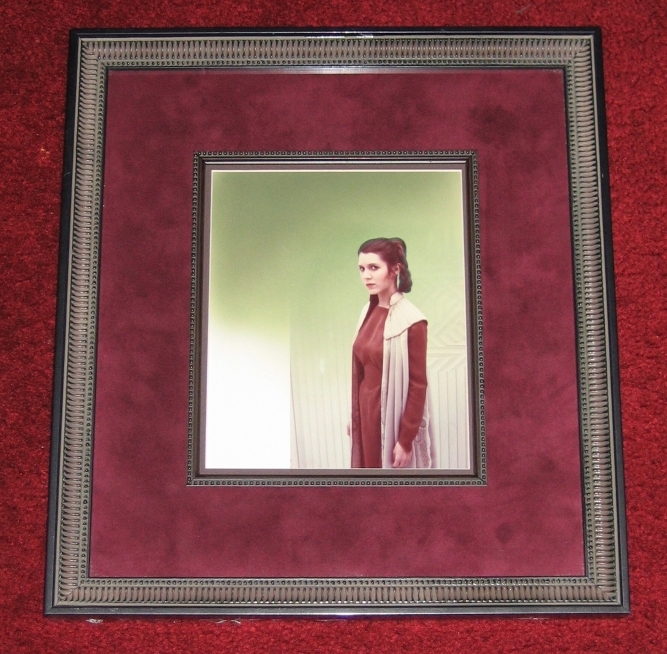 This photoart was not only used by Kenner for the ESB 31-Back Leia Bespin small size action figure but was also planned for the box for the unproduced ESB Leia Bespin doll. This photo art is one of the most heavily airbrushed from the Empire Strikes Back series. The original photo of Leia appears on a blue background, which can be seen around the edge of Leia's hair.